The Square Wave TIG 200 is a portable TIG and stick welding machine that lets hobbyists, makers, small fabricators and craftsmen explore their creativity. Weld TIG up to 200 amps @ 25% duty cycle (240V), and stick weld up to 170 amp @ 20% duty cycle (240V) Alos features 120V and 240V input voltages, and is lightweight for portability. Comes with foot amptrol and TIG torch. Square Wave TIG 200 The Square Wave TIG 200 is a portable TIG and stick welding machine that lets hobbyists, makers, small fabricators and craftsmen explore their creativity. 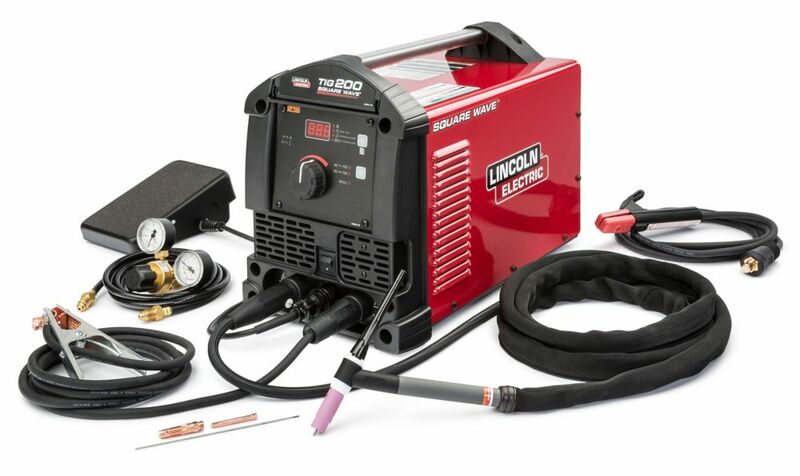 Weld TIG up to 200 amps @ 25% duty cycle (240V), and stick weld up to 170 amp @ 20% duty cycle (240V) Alos features 120V and 240V input voltages, and is lightweight for portability. Comes with foot amptrol and TIG torch. Square Wave TIG 200 is rated 5.0 out of 5 by 1. Rated 5 out of 5 by Kevin from Perfect for the hobbyist Great machine. The AC square wave function works great for aluminum. I’ve done lots of aluminum mig and always struggled to get the aluminum clean enough. This machine welds comparably with no cleaning and welds much better than my miller multimatic with cleaning. How come I can't order this product? No price is showing up and it won't let me add to my cart.